For quite some time, I looked at schoolmates and friends who have their own digital camera with little envy. The closest I am to owning a camera was my sister’s GE point and shoot. Last January 19, I was told to go to the airport to meet with someone who has the camera sent for me. I was a very cautious since there have been stories about people who were requested to bring something for the relative of their co-workers running away with the packages that were never meant to be theirs. I am also worried about the camera sent. I have no idea about the brand or model of the camera. In my head I was wishing for a Nikon, but a Canon would also be fine. 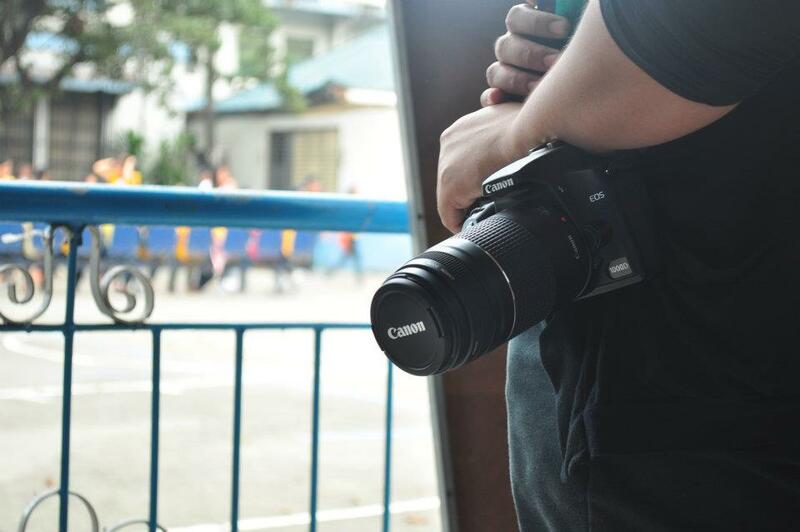 My partiality to Nikon emerged because I usually borrow a friend’s Nikon DSLR for my photography class. When I got the package, I had in my hands a Canon EOS 1000D which I named Beau. I brought Beau to school the next day since the university intramurals will end with the cheerdance competition where many classmates participate in. As expected, I had problems in adjusting to the lighting since the weather was a bit fickle. One minute the clouds covered the sky and the next, the sun was shining bright. When I moved to a different place or indoors, I keep forgetting to change the settings to take advantage of the light. It was pretty confusing. At times, I felt so dumb for forgetting. I am a beginner. And I am willing to learn more.